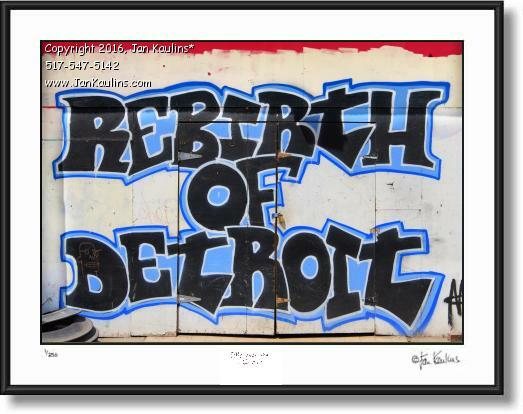 REBIRTH OF DETROIT grafitti photo art print for sale. This REBIRTH OF DETROIT grafitti was found on the side of a former abandoned building that was under renovation. It validly peaks to the changes that have been and are happening to Detroit in terms of its rebirth and new growth and development.